To mark the official launch ODEON has commissioned a piece of street art at Birmingham’s Custard Factory in celebration of Birmingham’s rich film history – open to the public to see now! 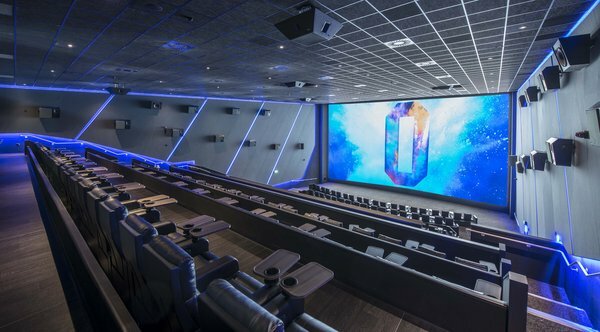 Film fans in Birmingham can now experience the ultimate in cinema luxury as the newly transformed ODEON Luxe Birmingham Broadway Plaza officially opens its doors in the city where it all began for ODEON. To mark the launch, ODEON – the UK & Ireland’s largest cinema chain – has commissioned a piece of street art to encapsulate ODEON’s long-lasting connection to the city along with some of the greatest moments in Birmingham’s film history. Created in collaboration with local street and graffiti artist Andy Mills, the artwork covers 6.5 X 3.5 meters of wall in the heart of Digbeth’s Custard Factory, featuring famous Birmingham film icons and ODEON’s long-lasting connection to the city, stretching from the 1930’s to the present day. The modern piece of street art, which took over 35 hours to spray paint, has been developed to mirror a historical tapestry, celebrating the city’s rich film history through time. The colourful and eye-catching mural, which local residents can head down to enjoy from today, includes a portrait of ODEON’s founder, Oscar Deutsch, who was born in Balsall Heath in 1893 and who opened his first modern, art-deco inspired ODEON cinema in Perry Barr in 1930. 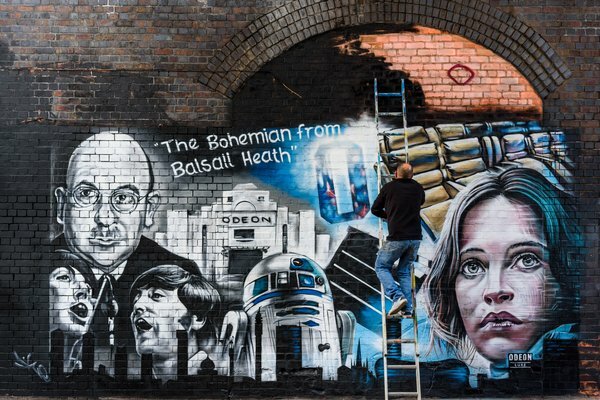 The artwork also features tributes to The Beatles who famously played at the ODEON Birmingham cinema in 1965 and local actor Kenny Baker, who starred in six Star Wars films as R2-D2. The mural additionally showcases the brand-new ODEON Luxe offering at Broadway Plaza, including the new recliner seating guests can enjoy at the cinema. The new ODEON Luxe Birmingham Broadway Plaza will feature 1,264 luxury handmade reclining seats across its 12 upgraded screens, offering film fans triple the legroom and increased personal space and comfort, as well as individual retractable tables to ensure the ultimate in-cinema comfort. Cinemagoers can also enjoy a complete overhaul of the technology, including a new fully-reclining, 204-seat iSense screen, delivering a truly immersive, ultra-high-definition cinema experience, with 4K projection and Dolby ATMOS sound and a new in-screen lighting system will also help minimise distractions between guests.